Even when we take the best care of our teeth, sometimes tooth decay is unavoidable. It is extremely common: there are few of us that have lived our lives completely free of cavities or other signs of tooth decay. But it is important that you seek treatment when symptoms of tooth decay arise. Without treatment, what has started as a small issue could progress into something more troublesome and painful. Our Red Bank dental office offers treatment for patients with tooth decay. Our range of restorative dentistry techniques can leave your teeth fresh, clean, and cavity free. What Are the Top Treatments for Tooth Decay? Fillings - For mild cavities, fillings are the most common treatment. The filling process, which involves drilling away decayed tooth matter and filling in the space with a metal or resin substance, is a technique that is both affordable and highly effective in supporting teeth and preventing the progression of decay. While metal fillings were used exclusively for decades, many cosmetic dentists now recommend composite fillings made of a tooth-colored resin, which blend with the tooth seamlessly for a more natural look. Inlays and Onlays - If your cavity extends over the top or side of your tooth, your dentist might recommend inlays or onlays. These are restorative ceramic pieces that are laid over the top of the tooth to replace lost tooth structure. Inlays and onlays are made of durable ceramic to match your teeth for a natural and imperceptible finish. Dental Crowns - If serious tooth decay has taken hold within one or more of your teeth, dental crowns may be the best option for repair. Dental crowns are caps that are placed over a tooth to provide support and protection once the decayed portion has been cleared away. At the office of Dr. Bixby, we offer porcelain dental crowns to produce a beautiful appearance and restore dental health. 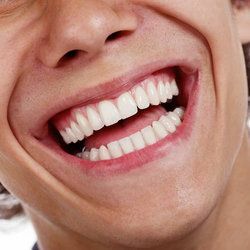 Full Mouth Reconstruction - A full mouth reconstruction is not a procedure on its own, but rather a combination of procedures performed to restore good health and a beautiful smile in patients who have a few teeth affected by decay. At your consultation, Dr. Bixby can assess your dental health and discuss which techniques might be the best fit for you. If you have been suffering from tooth discoloration or discomfort, you might be experiencing the symptoms of tooth decay. Now is the time to contact a skilled dental professional and seek treatment. No matter how serious or complex your tooth decay issue is, Dr. Michael Bixby and his team are ready to restore your teeth to good health. Contact Dr. Bixby at his office to schedule a consultation and discuss your symptoms today.